It has been well over a month since I have made a blog post and I can't think of a single excuse that I can use to tap dance my way out of it! I have been collecting images for ideas for future sculptures. Nothing seemed to be very inspiring or even a direction that I was excited to explore. Last August my Mum passed away, she was 95. I received a bit of an inheritance so besides being sensible, which I was, I treated myself to some books that I have been wanting for a while. 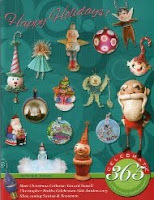 One of the books that I bought was "Magic - 1400's - 1950's" published by Taschen Books. 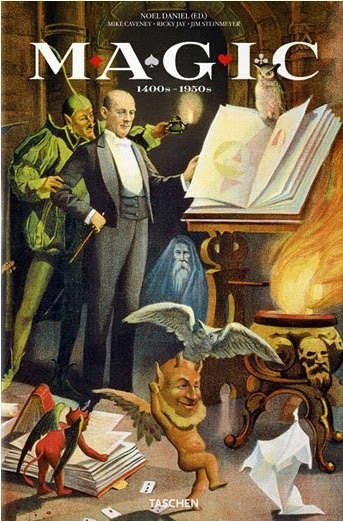 It is a pictorial history of stage magicians. There are posters galore. It isn't a how-to book on stage magic but a visual feast of graphic advertising for stage shows, photographs, and book illustrations. After trying to come up with ideas, very unsuccessfully I might add, I knew what direction I was wanting to go for this Hallowe'en's sculptures. I love stage magicians! Two years ago Amelia Schaefer of Sweet B Folk Art, Lori Rudolph of Retro Rudolph's, and myself did an online Hallowe'en web sale called "Trick or Treat Street". 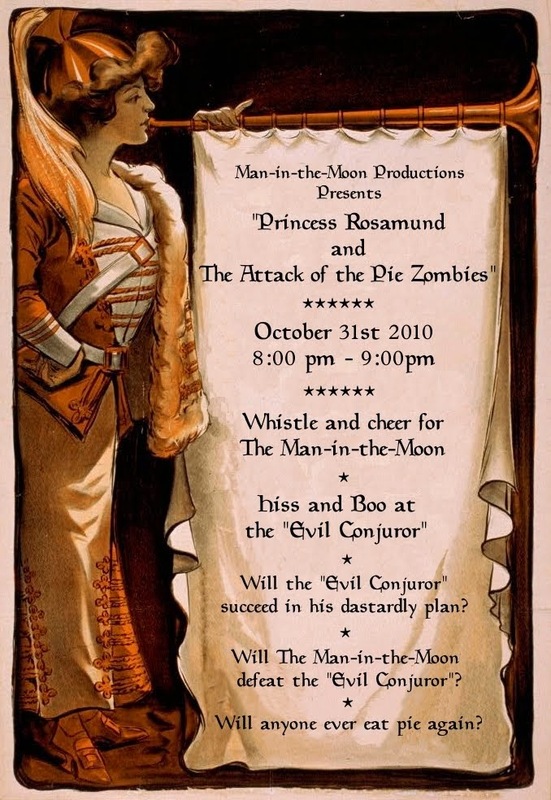 Part of my collection were some figures and candy containers depicting a magic show called "Princess Rosamund and the Attack of the Pie Zombies". My plans for another magic show last year were derailed when my computer crashed. This year there will be magicians! 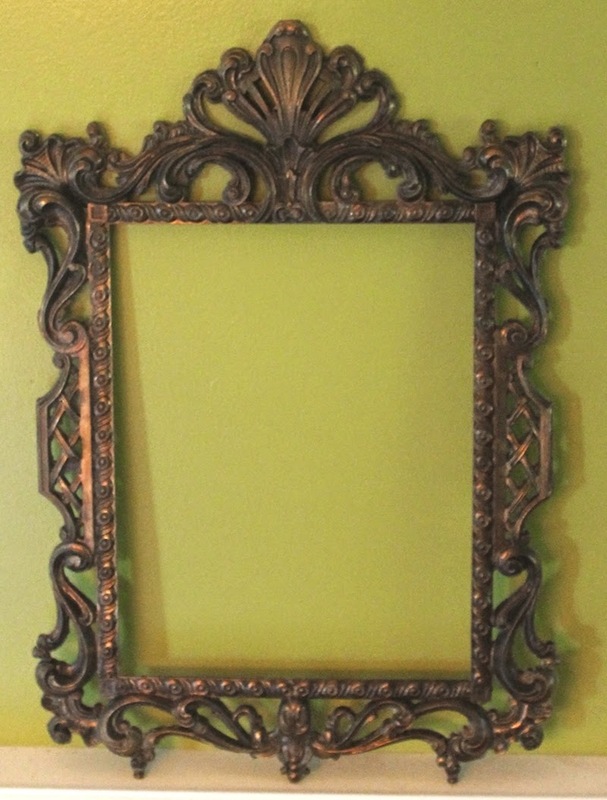 I have four very large vintage Italian metal frames. This rectangular frame will be a magic shop vignette. I am working on it at the moment and I am very interested to see what it will finally look like. The sculptures are all improvised as I work. There is a definite direction but the road to the final destination has a lot of twists and turns. 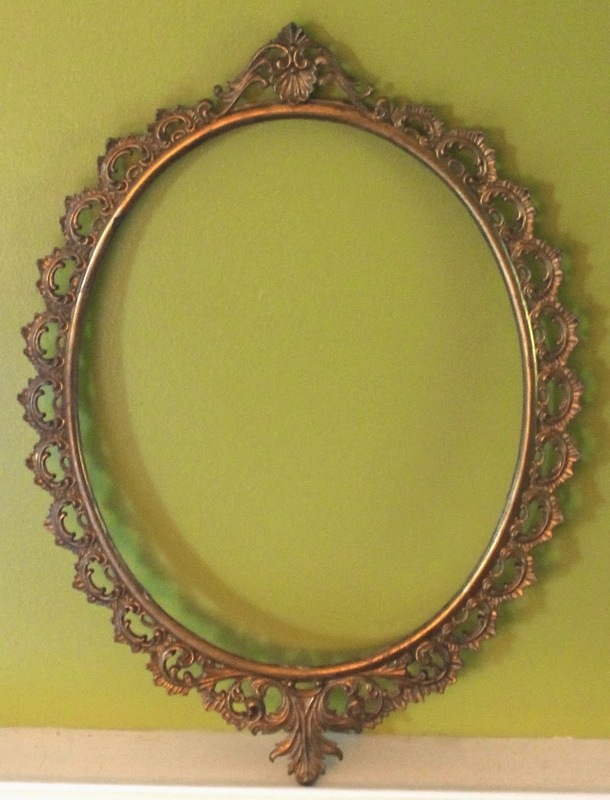 The two identical oval frames will either a set of twin magicians or a husband and wife magic act. They will be large 3D portraits whatever I decide. This final oval frame will also house a 3D portrait as well. These large framed pieces will be ready and be for sale at "Hallowe'en and Vine" this September. There will be noisemakers and other items besides magicians. I must get off to my studio and get to work. Glad to see you back Len! :-) Love the magic act ideas! The books look amazing, they just don't advertise like they use too! I just read and watched Water for Elephants and am so curious now about the circus's in that time! The costumes, posters, etc. what a fascinating time. Can't wait to see what you create. Thanks, Deborah. January was like swimming in molasses! I am flying high now and very excited about the new work. To "Just Me"... Taschen books also have a book about the circus. Their line of books are top notch. Can't wait to see what you come up with Len! You know how I love me some Magic!!!! David, I'm working on the magic shop at the moment. I am very excited about these pieces. Wow Len, the book looks amazing and in you hands I can't wait to see what will "appear"